Gluten Free Philly: Vive La Croissant! 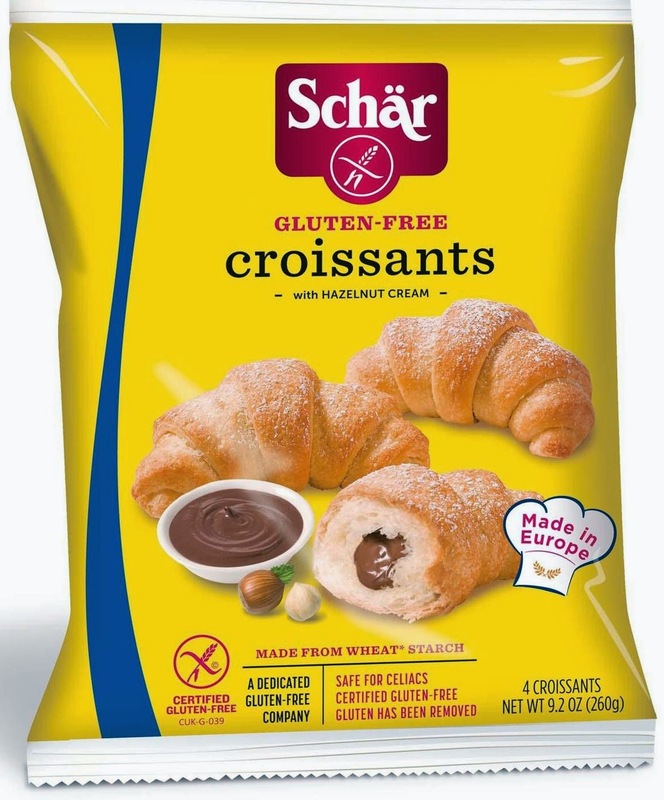 Schar's dietitian Anne Lee tells me that the croissants test to less than 10 ppm gluten, below than the FDA-required level of 20 ppm. Under the FDA guidelines, certified gluten-free wheat starch may be used in gluten-free products as long as it is under 20 ppm. That said, people with a wheat allergy should not consume gluten-free wheat starch. Of course, whether you choose to eat these croissants is entirely a personal choice. If you do go down that road, you can expect the remarkable flaky character, airy dough and buttery taste found in the traditional version of the pastry. (If you are a Nutella fan, you'll particularly like the hazelnut cream-filled ones.) The croissants, which will retail for about $6 for a package of four, will be sold beginning next month in the freezer sections of supermarkets nationwide. They can either be defrosted for about an hour or, as I recommend, warmed for about 15 minutes in a pre-heated oven at 350°F. DISCLOSURE: While Schar provided product samples for me to review at no cost, such compensation did not influence my review. Neither I am nor any immediate family member is an employee, officer, director or agent of Schar or its respective parent, subsidiary and affiliated entities, advertising and promotional agencies. Click here for my complete Disclosure.